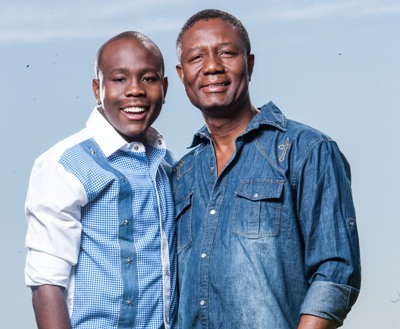 IT’S a chilly morning when we meet SA’s first black Idols and Clash of the Choirs winner, Khaya Mthethwa, and his father, Themba, at the Durban Country Club and they reveal that the 26-year-old singing sensation has never done an interview or posed for pictures with his dad before. Considering the interview is taking place shortly before Father’s Day, it seems fitting that Khaya should talk about the influence his father, who has been a pastor in the ministry for 25 years, has had on his life and his new-found fame. Khaya, who’s the spitting image of his 53-year-old dad, says it’s interesting how his relationship with his father has evolved over the years. “He’s always been a great father but now that I’m older he’s become more like a good friend,” says Khaya, who is planning to take his father out to play pinball on Father’s Day. His father is not short of praise for his firstborn son either. Though Khaya was always more reserved compared to his talkative younger brother, Mnqobi (23), he’s always been a delightful child to have around, uBab’Mthethwa says.